Secure their future by supporting our conservation work and visit our breeding centre at ZSL London Zoo - Land of the Lions. ZSL is working with the Wildlife Institute of India and Gujarat Forest Department to safeguard Asiatic lions, for instance training veterinary teams and working with forest rangers to establish effective patrolling systems. Find out more about how ZSL is protecting lions in the Gir. The Land of the Lions at ZSL London Zoo also supports a global breeding effort, while bringing the Gir Forest to Life in London. Through this state-of-the-art exhibit visitors have the chance to get up close to these amazing animals at the same time discovering Indian village life, abandoned forts colonised by primates and habitat of the Gir National Park. 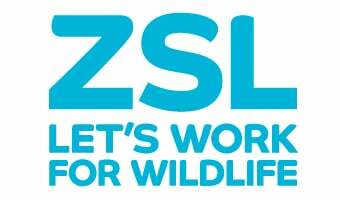 ZSL London Zoo’s biggest and most breath-taking experience ever is now open! Our Asiatic lions campaign forms a cornerstone of our work secure a future for those Animals Under Threat of extinction. By giving just £3 a month and you can become a Wildlife Champion, receiving regular updates on our work and champion pack containing more information on our global conservation work. ZSL trained the Gir’s rangers to use a new monitoring system to give staff clearer and more scientific data on what is happening in the protected area, helping to identify threats and monitor activity. ZSL zookeepers shared enrichment techniques with staff Sakkarbaug Zoo, an important Asiatic lion breeding centre. Keepers from Sakkarbaug Zoo visited ZSL’s London and Whipsnade Zoos to shadow the ZSL keepers and share knowledge. Vets from ZSL worked with local vet teams to help them rescue and rehabilitate injured or trapped lions, shared knowledge and are helping to get systems in place to manage any potential disease outbreak which could wipe out the remaining Gir lions. ZSL education experts worked with staff at Sakkarbaug Zoo and other local conservation organisations to help shape their plans for the development of educational activities around wildlife conservation in the Gir Forest National Park. Learn more about ZSL's work to protect Asiatic lions. Our new visitor experience and breeding facility at ZSL London Zoo. ‘Land of the Lions’ will inspire our visitors to support us in our bid to save the Asiatic lion. Asiatic lions have long lived in harmony with human communities in India. Land of the Lions bring the lions’ story to life in new and inventive ways, to give visitors an exceptional experience that will stay with them forever. There are only several hundred Asiatic lions in the wild, and they only live in the Gir Forest, India, in an area that is smaller than Greater London. Asian lions are slightly smaller than African lions. Unlike African lions, the males do not tend to live with the females of their pride unless they’re mating or have a large kill. Asian lions used to range from Turkey, across Asia, to eastern India, but the rise of firearms across the world meant that they were hunted to near-extinction for sport. The male Asiatic lion has a relatively short, sparse and darker mane compared to the fuller mane of the African lion. As a result, the male Asiatic lion's ears tend to remain visible at all times. The most distinguishing characteristic of the Asiatic lion is the longitudinal fold of skin that runs along its belly. This is absent in African lions. Today, the remaining wild lions are vulnerable to disease, disaster and potential poaching, and have to live alongside a growing human population that also needs the land for cattle and crops. The Asian lion population has recovered from the brink of extinction to several hundred individuals. They occupy remnant forest habitats in the two hill systems of Gir and Girnar that comprise Gujarat’s largest tracts of dry deciduous forest, thorny forest and savannah. Five protected areas currently exist to protect the Asian lion: Gir Sanctuary, Gir National Park and Pania Sanctuary to form the Gir Conservation Area (GCA) covering an area of 20,000 km2 of forest representing the core habitat for the Asiatic lion. The other two wildlife sanctuaries, Mitiyala and Girnar, protect satellite areas within dispersal distance of the Gir Conservation Area. An additional sanctuary is being established in the nearby Barda forest to serve as an alternative home for Gir lions. Factors which are threats to the Gir PA and lion conservation identified as encroachment, forest fire, natural calamities, grazing, collection of fuelwood, Non-timber forest produce (NTFP), poaching, tourism, religious pilgrimage and accidental lion deaths due to human causes. Currently the Gir landscape is witnessing an unprecedented change of traditional land-use patterns owing to agro-industrial developments and urban sprawl. Lions in the human dominated landscape are long ranging, even venturing inside villages at night for food. But they need specific day time habitat patches (refuge sites) so as to avoid conflicts. Such patches are characterized by mostly grasslands, Acacia patches, Prosopis juliflora patches and orchards. Since the land ownership of these crucial habitat patches are complex and largely private owned, they are likely to succumb fast to such development induced habitat alterations thereby threatening the metapopulation dynamics of the lions in future. Help ZSL make sure the endangered Asiatic lion does not disappear. Secure their future by supporting our conservation work in one of the below ways. Take part in one of our Fundraising Events or if you want to organise your own fundraising activity, download our fundraising pack today. You can keep track of your fundraising on your very own Roar-o-meter too!